When I read the color prompt for this week, I was not exactly jumping for joy. 2 purples and 1 yellow. While I actually like both colors, I would not pick this combination to create something. I admit, that for a moment, I considered skipping this week’s “Summer of Color” challenge. Then I decided to jump right in though and sewed a little art quilt. I am so glad I did. It was a “Priceless Adventure”. Once again I had turned to my stash of rusty, round shaped motor parts to create a flower. I had made a wall hanging with some of these pieces before. This time I wanted to achieve a more modern look though. I sewed strips of different gray fabrics together for the background. The stem is made of a piece of thick paper covered wire that I wrapped in two different thin wires for a bit of texture. For the flower head I used two different rusty parts and added a vintage rhinestone button. The leaves are made from rusty mesh and organza that I melted with my heat gun. 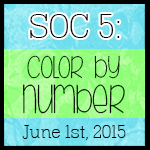 I will be back soon with my “Summer of Color” entry for this week. You might need your sunglasses again. The colors for this week’s “Summer of Color” challenge are 1 pink + 1 pink + 1 orange. Some years ago, pink was was one of my favorite colors but I never liked orange. Just lately I find myself using bits of orange here and there. For the challenge, I made a summery mixed-media card with a machine embroidered flower. Next week I will show you something less colorful. I’m participating this year in the ICAD (Index-Card-a-Day) Challenge. You can find all details HERE at Daisy Yellow. The bottom line is to create something every day on and index card for 61 days in a row. The theme for the first week was drawing and doodling. This was indeed a challenge for me but it became fun soon. I didn’t always use the optional prompts. Some of my cards are just black and white but a few are really colorful. Keep your sunglasses within reach. I would have one more to show you but I couldn’t get a decent picture of it. Maybe my camera thought it was too colorful. I’ll show you the card when I’m able to take a picture with another camera. The theme for the second week was painting which was even more out of my comfort zone than drawing and doodling. I had bought a package of watercolors some years ago and the tubes had never seen sunlight since I had put them in a drawer back then. Now it was time to finally play with them. I predominantly painted the backgrounds and then added other techniques. Prompt “Carrot & Lemon”. I used them as colors here but what you can’t see is, that I stamped the circles with pieces of carrots. Prompt “Ginger & ?” Ginger is my background and parts of the frame. I hope you can solve that little picture puzzle for the second part of the prompt. If not, I’ve drawn really bad. Prompt “Parsnip & Kiwi”. Kiwi is the frame color here. Prompt “Blueberry & Plum”. While blueberry makes my background, I might have kind of cheated with the plum somehow. It’s a fun challenge and you could still join in. I’m glad I especially gave doodling a try. I really like that. I’ll be back soon with my entry for the “Summer of Color” challenge. At least I hope so because I haven’t even started yet. I’m participating for the first time in the “Summer of Color” challenge at Twinkle, Twinkle, featuring six weeks of color prompts. You can read all about Kristin’s challenge HERE. The prompt, given for week one, was 1 blue + 1 blue + green. You might wonder what happened, that I started playing with color. Well, I still like my neutrals but lately I’m more and more drawn to some other colors as well. You know how much I love to upcycle things and I decided to turn a scrap of an old jeans into a bracelet for this challenge. I combined the two denim blues with an aqua green, so that the bracelet would match my favorite clothes. When you think that this was a lot of color, then wait until next week, when I show you the index cards, I made for the ICAD challenge. Don’t worry though, I have some neutral colored projects upcoming as well.